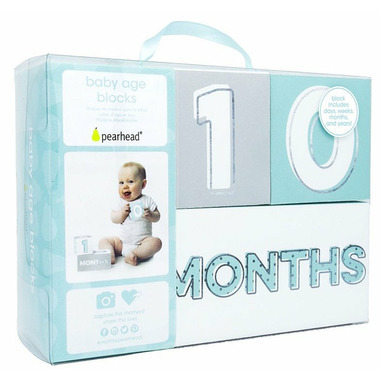 Pearhead’s Aqua, Grey, and Black Baby Age Blocks are the perfect, modern prop for your little one's milestone photos. 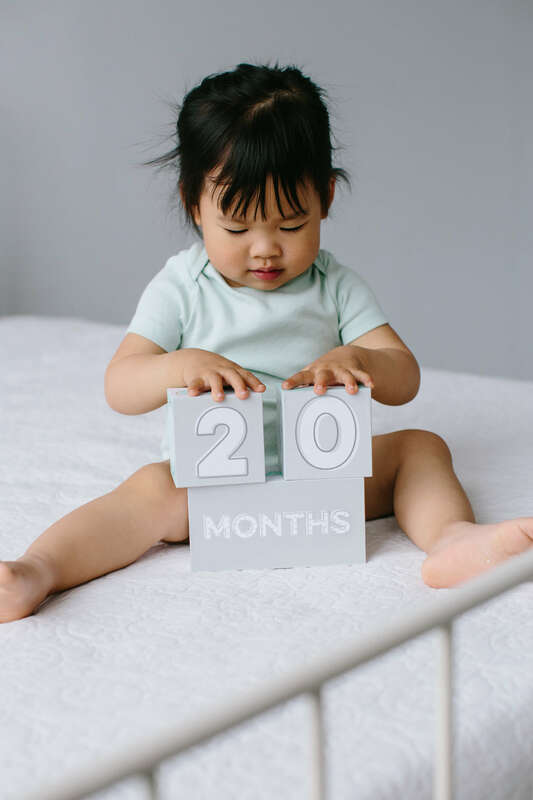 Record your baby's age in days, weeks, months, and years by using the lightweight baby age blocks for any photo. 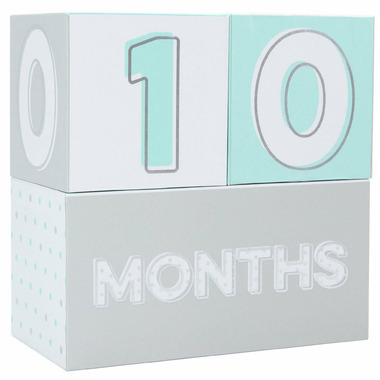 This set of 3 blocks includes numbers 1-9 to display your baby's age from infant to toddler. They are perfect for sharing your baby's age with loved ones on your social pages or by simply sending to your family and friends. The blocks are lightweight and made out of high quality paper, making them 100% safe for baby to play with and doubling as a great toy. Track baby’s milestone ages with Pearhead’s baby age blocks. Use the hashtag #mylittlepearhead for a chance to be featured on Pearhead’s social pages.